The Crary WeedRoller PRO slowly rolls along the lake bottom, agitating the lake bed material. 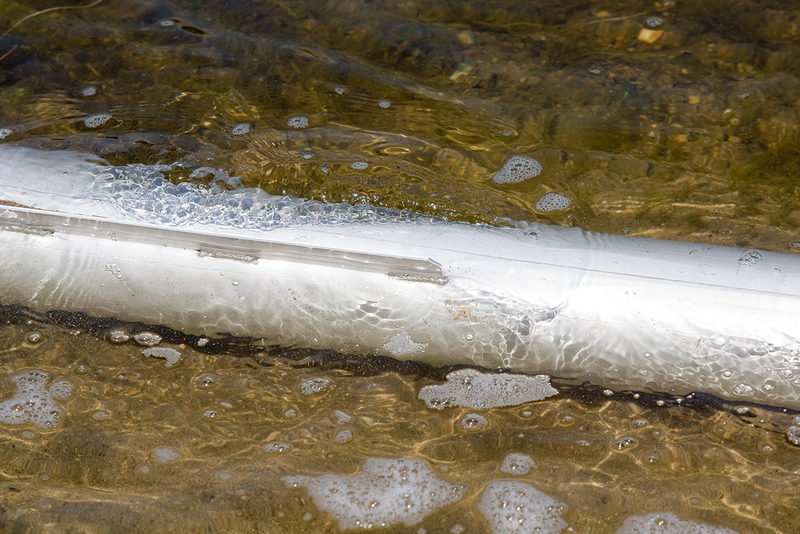 This agitation prevents lake bottom weeds from rooting down. Meaning, with routine use, these weeds are simply removed before they even appear. 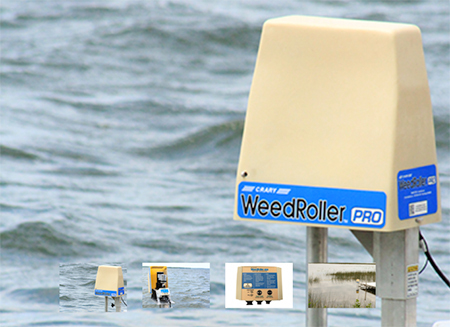 It's time to take back your beach with an environmentally-friendly WeedRoller PRO. 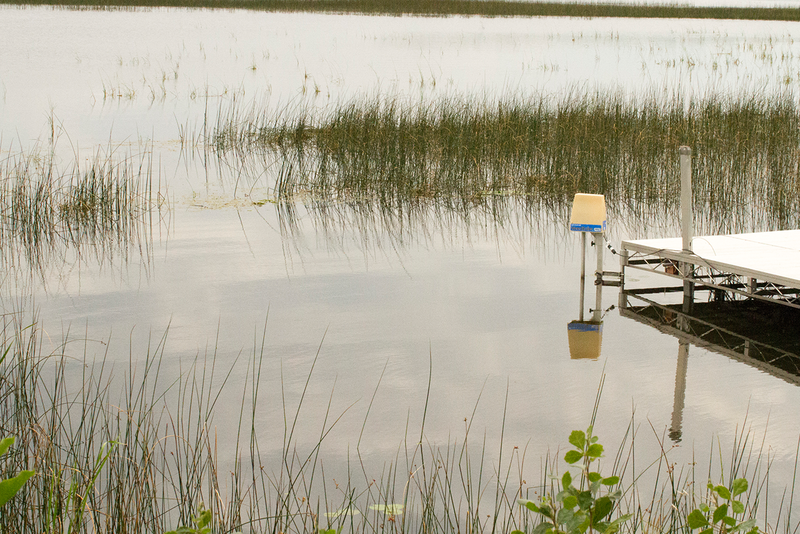 No need to use hazardous chemicals in the lake to control weeds. Various weed removal products such as rakes are troublesome and very labor intensive. Plus, who wants a big pile of wet, stinky weeds on the dock after removal? Not to mention the weeds will soon return. The WeedRoller PRO not only does the job once, it continues to patrol the lake bottom for regrowth. The WeedRoller PRO moves in a slow, broad arc, pivoting more than 300 degrees. 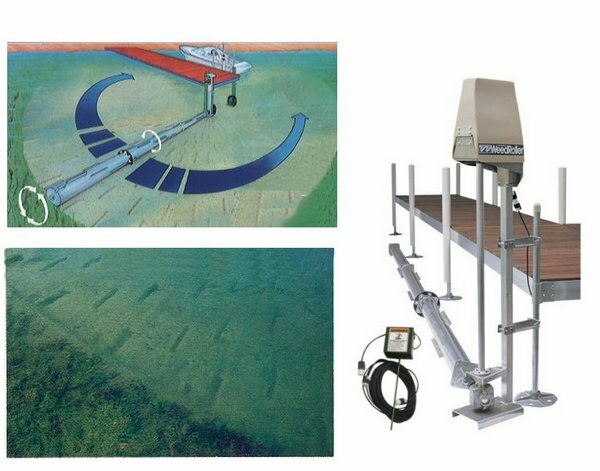 As its linked rollers rotate along the lake bottom, the WeedRoller PRO detaches existing weeds and agitates the lake bed. This prevents continued weed growth, for a clean, sandy lake bottom and a pleasant swimming area. 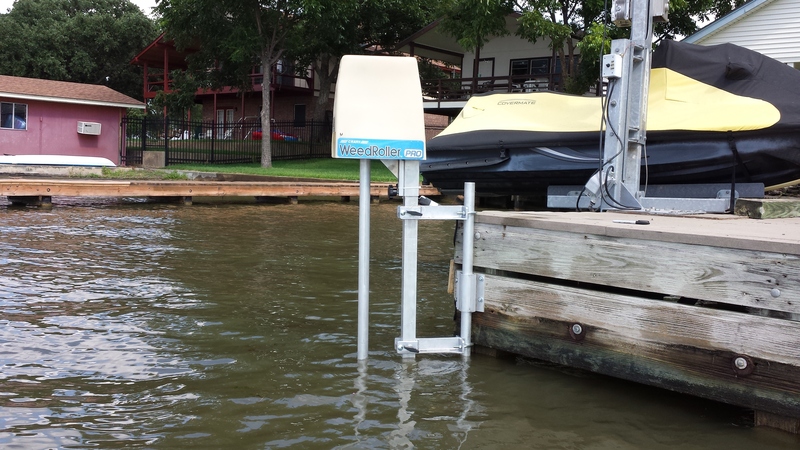 The WeedRoller PRO easily attaches to any dock. To fit your specific area, the WeedRoller PRO has adjustable limit switches, which automatically stop and reverse its direction, at the point you desire. The basic 28 volt WeedRoller PRO kit has enough clearance for 4.5 feet of water at the "Drive head". This kit includes universal dock hardware, 21 feet of lake bottom rollers, the standard 28 volt power head and a power converter which converts 110 volt standard power to 28 volt. All this comes packaged in three convenient boxes and can be shipped via UPS. The three 7 foot rollers make the WeedRoller PRO easy to handle and simply bolt together with a steel coupler at the beginning and flexible couplers between the 7 and 14 foot lengths. An optional coupler can be installed between these tube assemblies to provide additional flexibility. 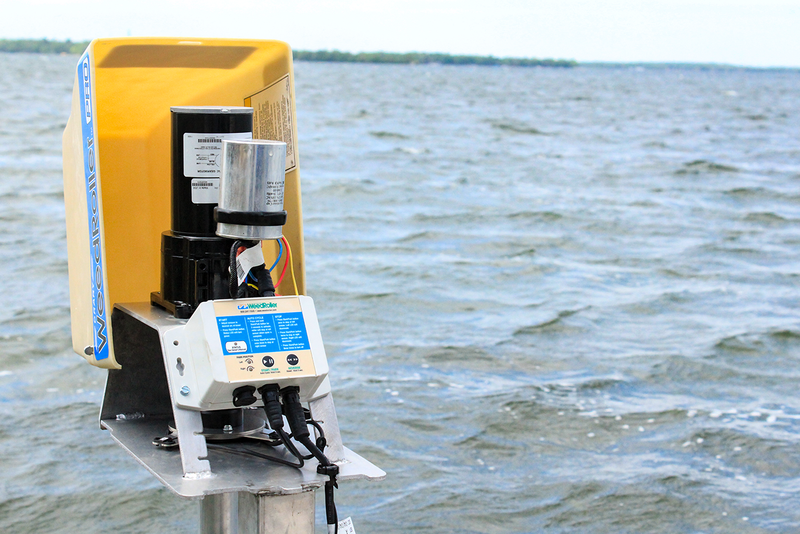 These couplers allow the rollers to follow variations in the contour of the lake bottom. All tubes are made of aluminum and are 6 inches in diameter. Add up to three more rollers for a total of six, which gives the user 42 foot radius of weed removal. The basic hardware mounts to docks with support legs of 2 inch (or less) diameter round or square dock posts. There is also an optional tripod mounting kit, allowing it to be self standing. The WeedRoller PRO senses heavy weed or muck conditions that may prevent it from getting through its full travel path on the first try. If sensed, it will automatically reverse rotation to avoid getting stuck. For further protection, if unsuccessful after three attempts the unit will shut down to allow removal of the obstruction.